Teresa W. quoted “You know you are a transcriber when you visualize the typing in your mind when you are listening to conversations”. Transcription in the linguistic sense is the systematic representation of source audio to language in written form. The source can either be utterances (speech or sign language) or pre-existing text in another writing system, although some linguists consider only the former to be transcription. Simply saying it means listening to audio and typing in Text. Transcription may happen in the same language unlike translation which converts one language to another. Normally the source file is either audio or video in transcription. The charges are therefore on a per minute basis and not on per word basis (as in translation). Transcription also plays an important role for several sub-fields of speech technology. 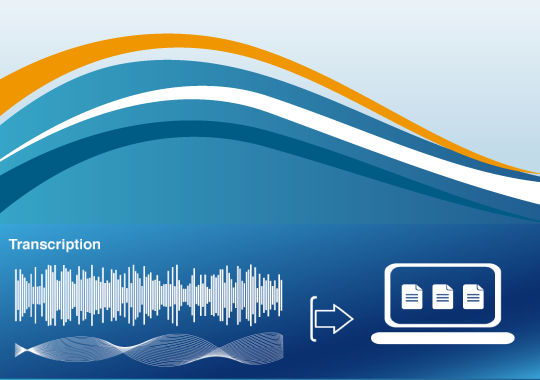 Common examples for transcriptions outside academia are the proceedings of a court hearing such as a criminal trial (by a court reporter) or a physicians recorded voice notes (medical transcription). Oh!! The handling of projects is very systematic. They have their own contact management system and I received some beautiful mails and regular information about the ongoing project. If you know how much I save because of you, you may increase the rates hehe.